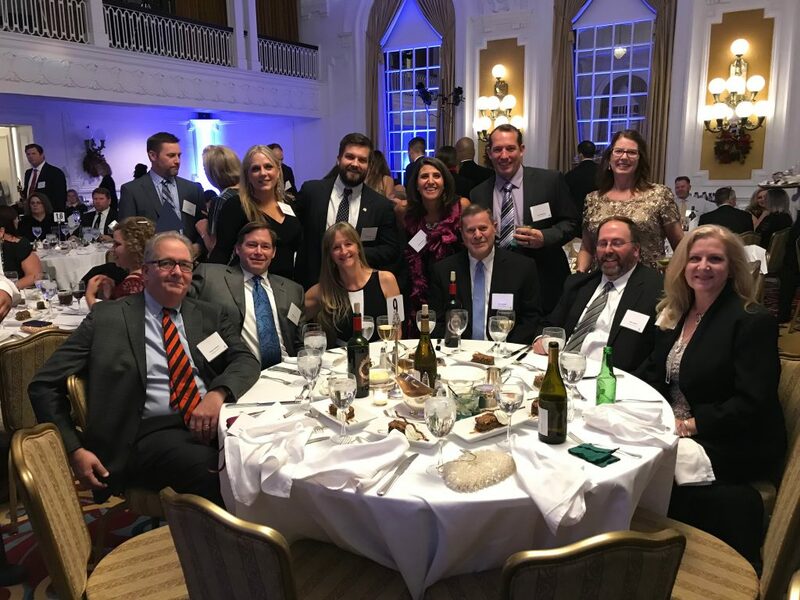 On December 6th, the Home Building Association of Richmond (HBAR) held its annual President’s Dinner at the Jefferson Hotel in Richmond, where one of our very own was honored for his incredible work. 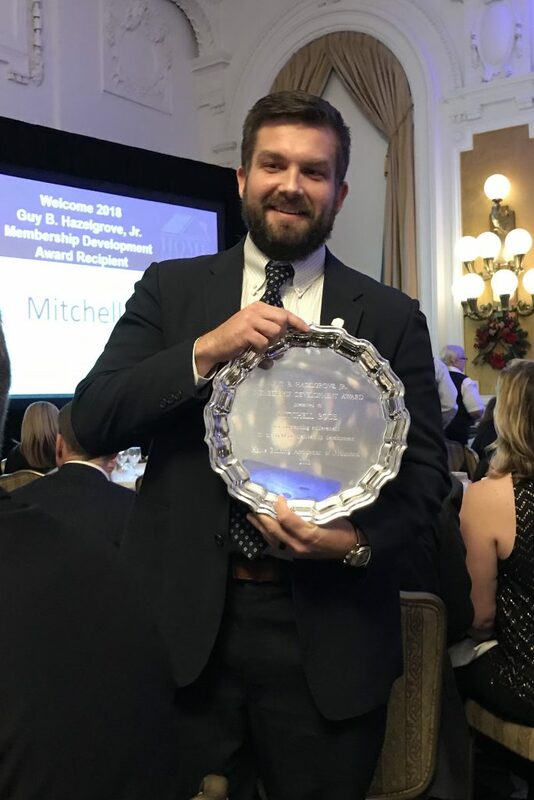 With 350 homebuilders, developers, trade partners, and real estate professionals in attendance, we were proud to watch as Mitchell Bode, Vice President of The Crescent Group , the preferred Developer for Cornerstone Homes, was awarded the Guy B. Hazelgrove, Jr. Membership Development Award for his contributions to the industry. Established in 1994 to honor Guy Hazelgrove, who earned 530 spike credits over 43 years of membership with HBAR, this prestigious award is given to those who demonstrate an exceptional contribution to membership recruitment and retention, as well as to the strength of the association overall. Dedicated, thoughtful, and passionate about his work, it’s no wonder that Mitchell received this year’s honor. Because of the countless hours that Mitchell has put into HBAR’s legislative advancement, along with his top-of-the-line recruitment efforts, HBAR’s political action committee is now the largest HBA PAC in the state of Virginia. Through the positive results of his hard work, Mitchell sets a strong example for his fellow members and inspires others to continuously reach higher. On top of the work that he does for the association, Mitchell serves on the Board of Directors, is a member of the Executive Committee as Vice President of HBAR, and holds the position of Legislative Committee Chairman. It’s no surprise that he also represents HBAR at the state association — because of Mitchell’s unique and invaluable contributions, HBAR will continue to see steady growth and advancement in the future. The Crescent Group is the preferred developer for Cornerstone Homes. As Vice President of The Crescent Group, Mitchell Bode oversees the land development of Cornerstone’s current projects, which include The Cove and The Villas at Magnolia Lakes and Villas at Ashlake in Richmond area, Chickahominy Falls in Hanover County, and Barley Woods in Fredericksburg. He provides leadership for the development of Cornerstone’s long-term vision and expansion goals. Congratulations, Mitchell! Your forward-thinking attitude and work ethic are a big part of what makes the new home construction community in Richmond so remarkable. From all of us at Cornerstone Homes, thank you for what you do!